At the start of the night The Dreamers set out their defenses, preparing to face the horrors of The Darkness. Once they have set up their Guardians by equipping them with powerful Items and protecting them with potent Wards, they tuck in for the night and go to sleep. Then, the hours begin to tick by and The Darkness goes to work! 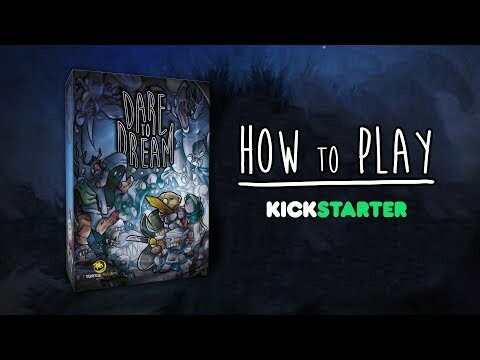 Dare to Dream is for 2-4 players aged 10 and up and takes about 45 minutes to play.